This enigma slowly morphed into a new view which coined a self-named fallacy (the god-of-the-gaps fallacy) or sometimes referred to as an argument from ignorance. This logical faux-pas assumes that just because something isn’t known doesn’t mean it can’t be known (or won’t be known in the future). This is a real problem for Christians who put God in the gaps of scientific discovery. After-all, if it’s worth naming a logical fallacy after, it’s worth avoiding. But, there are some inherent quagmires that seem to indicate the god of the gaps fallacy may be misdirected. Leo Tolstoy, in his diary, once wrote that “God is that infinite All of which man knows himself to be a finite part.” In this Russian philosophers’ reflection of God, he has beautifully articulated what Christians call the omniscient (all-knowing), omnipresent (all-places), and omnipotence (all-powerful) characteristics of God. God himself describes his magnitude in Revelation 1:3, “’I am the Alpha and the Omega,’ says the Lord God, ‘the One who is, who was, and who is coming, the Almighty.’” To put it simply, God is infinite—forever—always. With this view, it is quite humorous to assume that God is only in the gaps. The word picture seems to assume the universe is like a block of Swiss cheese. Science and knowledge make up the parts of the cheese we can see and touch (and eat—seriously yummy!) leaving God in the proverbial gaps. Even more burdensome, it assumes that science will eventually fill-in all the holes and thus diminish, and eventually eliminate, God. But this is in stark contrast to the nature and person of God; God is bigger than that. From our finite perspective, even with the seemingly endless knowledge of the internet, we “know” very little. Let’s consider this in terms of cell theory. Cell theory is a theory; it is not 100% known. Science has revealed massive amounts of intricate details about cells (DNA, RNA, symbiosis, etc. ), but this is only a small percentage of what is left to know: where did the cell come from, why does it do what it does, are there any exceptions and if so what are they? This, at its core, is what science is all about, and it in no way assumes God is the gap so we should stop studying. The only point of this whole discourse is to recognize that what we have taken as knowledge is probably better identified as understanding. Understanding reveals how most (and maybe all) cells work, but knowledge tells us how every cell works–definitively. Compare the difference to knowledge and understanding in terms of cell origins. We understand that cells came into existence about 3.8 billion years ago. This means the estimate has about a 100 million year differential—not exactly “known”. To put it in perspective, if my high school math teacher ever me to round to the 100 millions place, the answer would have always be zero. So, if the things we don’t know dwarf the things we do, the holes in the Swiss cheese become far more spectacular than the cheese itself. A comparison to how much we know to how much we don’t know is like staring at Pluto and forgetting they sky. Using some pretty advanced math and science techniques allow us to know things like: the size of Pluto, some terrain features (mountains and valleys), how fast it is moving through space, and much more. But, zooming in on Pluto removes the vastness of the sky. It’s as if we have less to learn about 3.78 billion miles[iii] between Earth and Pluto then we can learn about Pluto itself. There is a lot (I mean really a lot!) of information in the “gap” between these two focal points. And that is where I draw my first conclusion. It would be foolish to assume God is merely a “God-of-the-gaps”. Let’s not mince words; He is far bigger than any “gap”. But, it is far more foolish to assume the gaps represent only a fraction of what we already know; we know far less than that. In some ways, this is why God seems to fit so naturally in the gaps in the first place; it’s where the most light can shine through. I remember making stars my wall as a child with a flashlight. 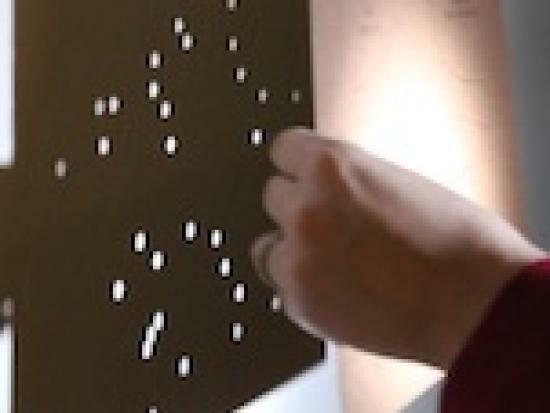 By placing a piece of paper (cardboard works better), with tiny holes poked through it, over a flashlight in a dark room, the light shines through the holes and projects little “stars” on the walls and ceiling. In this analogy, God is the light and we cover his works with the scientific method leaving little gaps for his light to shine through. The idea is, once we uncover naturalistic methods for life, God becomes archaic and obsolete. But does identifying methods deplete God’s power or significance? No! God and science are complimentary not contradictory. It does, however, give problematic rise to those taking their religious cues from the scientifically elite. The important place to start is to remember that God is bigger than scientific understanding. As my pastor once told me, “If you can believe that Gen 1:1 is true, everything else must at least be possible.” Gen 1:1 says, “In the beginning, God created the Heavens and the Earth”. So, just because science can manually modify cells and induce evolutionary advancements does not mean God was not in the original (or even the present) advancement of life. If He can create the Heavens and the Earth, manipulating DNA transfer in certainly possible. Similarly, just because a scientific discovery may hide the light of God from our visual field (by plugging gaps), it has no more ability to destroy that light than a cloud has the ability to extinguish a ray of sun. That’s when it becomes important to remember your perspective. Just because something can happen, doesn’t mean it does happen or even will happen. The art of science will likely accomplish some astounding advances in the coming years. Some of those may even subjugate God. But God doesn’t exist within the confines of science. Next articleQ&A: Why Does the Church Ignore Gluttony?